When I look back, I try to see everything that has happened to me in 2015 objectively. To see only the improvements without acknowledging the downsides will only cause me ignorance – to forget to develop myself. And to see only the downsides can cause me to blame myself and to continuously feel lacking. Of course that is not the way we want to finish 2015, with excitement and gratitude. Every end of the year, I like to take some time to reflect on everything that I have received and how I will go through the next year. Everytime I did that, my heart will be filled with gratitude and strength to be the best version of myself for the coming days. (If you enjoy doing rituals and want this process to feel more solemn and sacred, you can prepare a pretty journal book, aromatherapy, candles, a glass of your favourite drink, or even your most favourite chocolate bar! Make this inward journey to be pleasant and fulfilling in every way). 1. What has been going well this year? Write down every good things that has happened this year, including your achievements and self-improvement, no matter how small. It is the time to celebrate your successes. 2. What are the highlights? Of all the good things that you have received for the past year, which ones are the highlights? Which are the ones that make you feel that they are your greatest achievements in 2015? 3. Which ones need improvement? Considering all of the aspects in life, is there anything that you feel you can do better? If the answer is yes, how will you change it? 4. What lessons have you learned this year? All the failures and hardships that we’ve been through will not be for naught as long as we learn something from it. Life’s challenge is a way for you to realize your strength and wisdom. 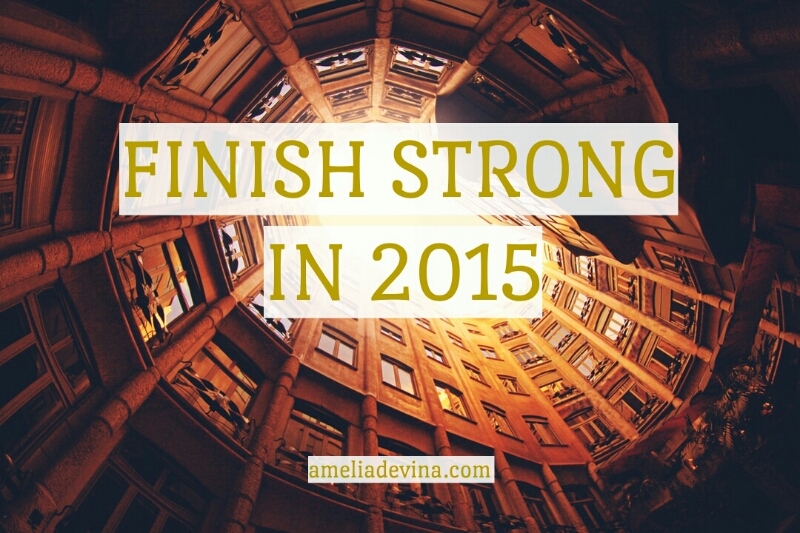 What are your lessons learned in 2015? 5. What can you release this year? After you went through the process, you will understand that not everything that you’ve done eventually cause good results and need to be continued; these include the less profitable projects perhaps, displeasing pasts, your bad habits and social circles. What should you release? 6. What are the steps are you going to take next year? Understanding the goods and the ones that can be improved, what are your next steps for the following year? What do you want to achieve in 2016? 7. What is an ideal 2016 for you? Now is the time to write your version of 2016. Write it in present tense, fill it with as many details as you can, pour your emotion into it and write it with conviction and gratitude – having faith that all of these are manifesting into reality and feeling as if they are already come true. This is one of the easiest and the most effective ways to manifest your dream. After you finish writing everything, read it through with gratitude for all the struggles that you’ve been through and the blessings and grace that you’ve received for the past year. Everything that has happened is perfect as it is. Light your flame and be determined to continue growing and improving yourself in the coming year. If you’d like to, you can also share your answers to these seven questions in the comment box. Who knows, one of the readers may be able to help you to achieve your dream. Thank you for reading and sharing this article. I am sure, when you do these seven steps wholeheartedly, you will gain exceptional experience and understanding. I hope that your 2015 is perfect as it is. Finish strong, start even stronger. See you soon!